Director Jun Lana's newest film is a romance-comedy entitled, So It's You (2014), under Regal Films. 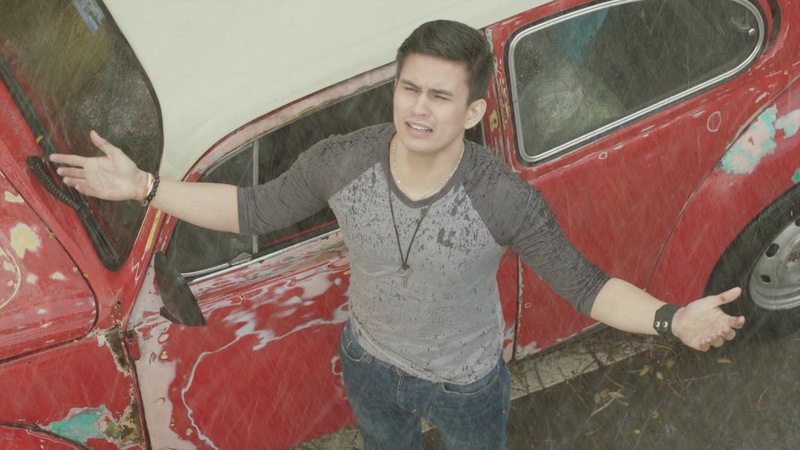 It stars Carla Abellana and Tom Rodriguez, who both have worked together in GMA's 2013 primetime hit and popular TV series, My Husband's Lover. Joining them is JC De Vera. Carla was excited to do this movie since this is her first time to do comedy. For her past appearances on TV and film, they are all drama. She said that she and her co-actors undergo workshops before working on a project. They learn and apply different techniques for the role they're playing and at the same time, to learn how to be at ease with other actors in their scenes. "We apply (acting technique) what is required of us by our director. Where our skills will be drawn and maximized, that's what we use. Para maiba-iba naman," shares Carla. Tom had so much fun doing the film because he was able to work again with Carla and learned a lot from Direk Jun. He had attended several acting workshops with Carla before. With regard to which acting technique works for a story or scene, "So many (acting) disciplines we are using. So you pick and choose. You try something and see if it works," Tom believes. During the shoot of the film, there were a lot of revisions that the script underwent. Carla mentioned that it was great for them to work with a very talented director, who is also a great writer -- who knows his story very well. So changing some lines or scenes on the spot was easy to do because Direk Jun Lana wanted to polish everything to make it better. 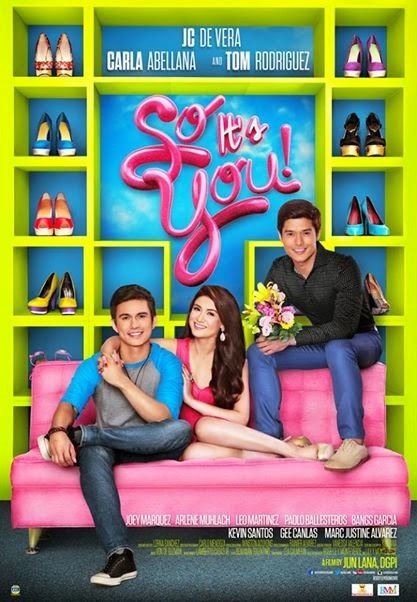 So It's You premieres on May 7, 2014 (Wednesday) in theaters nationwide. The film received a grade of A from the Cinema Evaluation Board. This means that Regal Entertainment (producer) is entitled to a 100 percent rebate on amusement taxes. Congratulations! So It's You is a love story of Lira (Carla Abellana), a rich girl whose ex-boyfriend Tony (JC de Vera) breaks up with her on their wedding day. 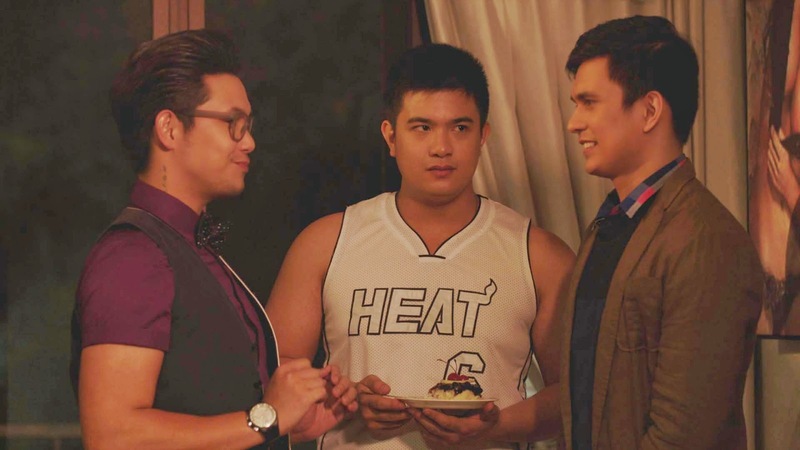 Tony plans to marry Pauleen (Gee Canlas). At the turn of events, Lira meets Gorio (Tom Rodriguez), a shoe factory designer who has an eight-year old deaf & mute son (Marc Justine Alvarez). Gorio and Lira both are unlucky in love and so it's fate that brings them together in a special friendship that eventually blossoms into love and romance.